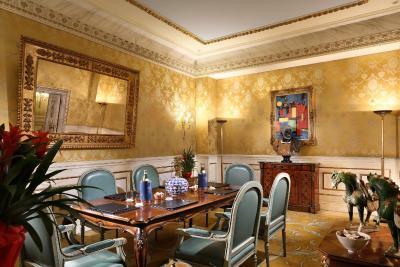 Lock in a great price for Hotel Splendide Royal - Small Luxury Hotels of the World – rated 9 by recent guests! 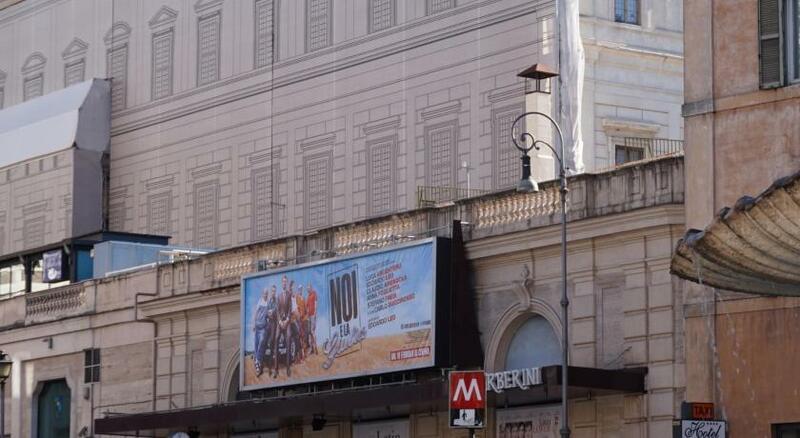 Excellent Central Rome location and outstanding customer service. The staff are really and truly exceptional! Fabulous rooftop restaurant and breakfast with lovely cut views. Loved On Christmas when the hotel GM graciously and generously provided small gifts of chocolates. Outstanding hotel customer service in a prime location. The customer service was outstanding. Staff very kind, knowledgeable, and helpful. This is a very special hotel...a real gem! It was beautiful!!! Staff was very helpful and polite, informative. Great hotel in a great location; privacy in the middle of a large city. Very accommodating staff. This is a classy place...but...the onsite restaurant is a good one by Rome standards, so it gets filled with non-staying guests, meaning no where for us late arrivals to eat. We went up for pre-dinner drinks and got the impression that we where getting in the way of their fabulously laid out restaurant. Not a great experience, given the cost of the drinks. The next couple that showed up where sent away as the restaurant hours where about to start. 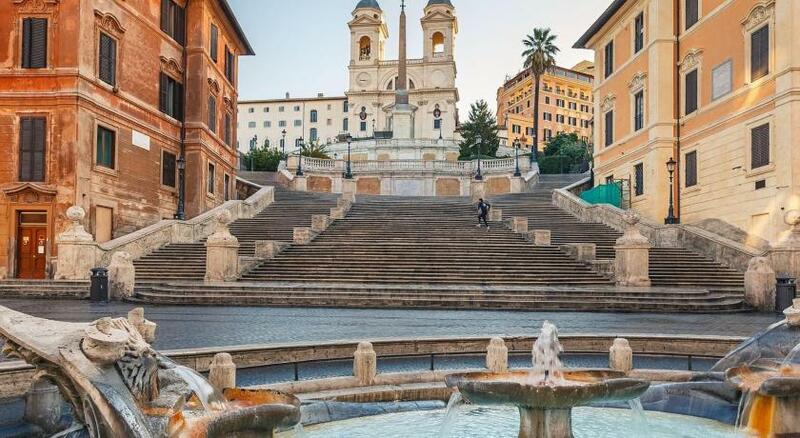 Located on a quiet street yet short walk to Via Veneto and close to Spanish Steps. 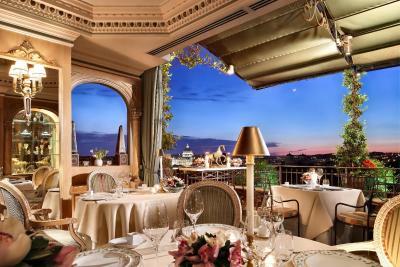 World class Mirabelle restaurant on the 7th floor with spectacular view, top wine list, impeccable service and great food. Jr. Suite was ok, more like an oversized (for Europe) room with a loveseat. Bathroom was spacious and the balcony made up for the somewhat disappointing roominess. A lovely tray of fruit and a bottle of prosecco were an appreciated touch. We did enjoy our stay there last weekend in one of the Jr. Suites which was very roomy and nicely decorated, but since we have stayed in so many of the best 5 star hotels in Rome, we were disappointed in the bathroom which was in need of updating and refreshing such as the marble counter and sink fixtures along with the jacuzzi tub. The shower stall was extremely small but bathroom amenities were high quality, including the robes and slippers and products. We were not given free wifi and charged 8 euro a day. 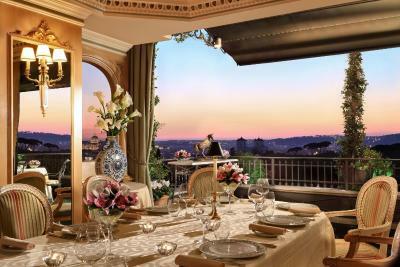 The room was gorgeous and the Mirabelle restaurant was the best in Rome! Hotel Splendide Royal - Small Luxury Hotels of the World This rating is a reflection of how the property compares to the industry standard when it comes to price, facilities and services available. It's based on a self-evaluation by the property. Use this rating to help choose your stay! Set between Via Veneto and the beautiful gardens of Villa Borghese, Hotel Splendide Royal is a converted 19th-century monastery. 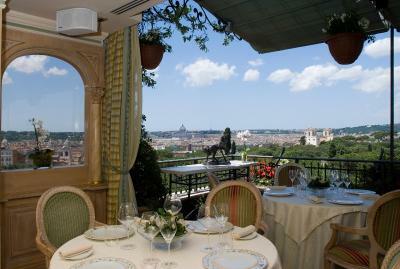 The restaurant with terrace offers magnificent views of Rome's rooftops. 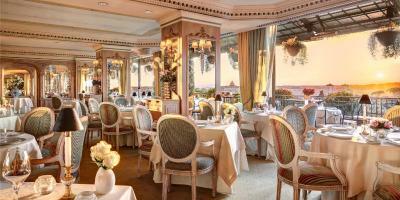 The restaurant of Splendide Royal Hotel was awarded with a Michelin star and serves fine Mediterranean cuisine. Various breakfast menus are available. The Splendide Royal's professional team of staff guarantees a warm welcome and a personalized service. 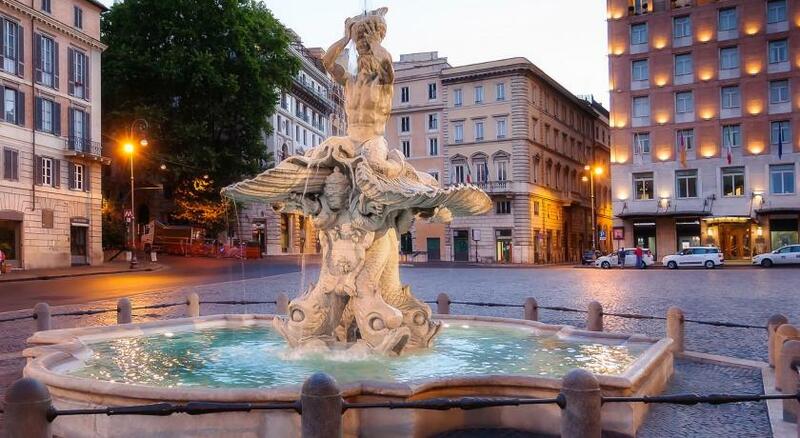 This is our guests' favorite part of Rome, according to independent reviews. In this area you can shop 'til you drop for popular brands like Cartier, Gucci, Prada, Burberry, Louis Vuitton. 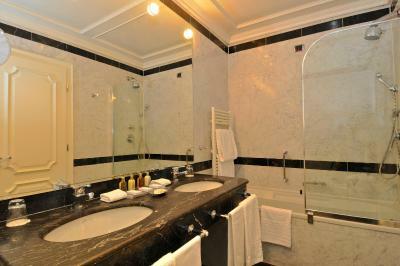 When would you like to stay at Hotel Splendide Royal - Small Luxury Hotels of the World? Overlooking the peaceful courtyard, this large and elegantly decorated room features air conditioning, a flat-screen TV with satellite channels, and a private marble bathroom complete with toiletries, bathrobes and slippers. This spacious and elegantly decorated room features air conditioning, a TV with satellite channels, and a private marble bathroom complete with toiletries, bathrobes and slippers. 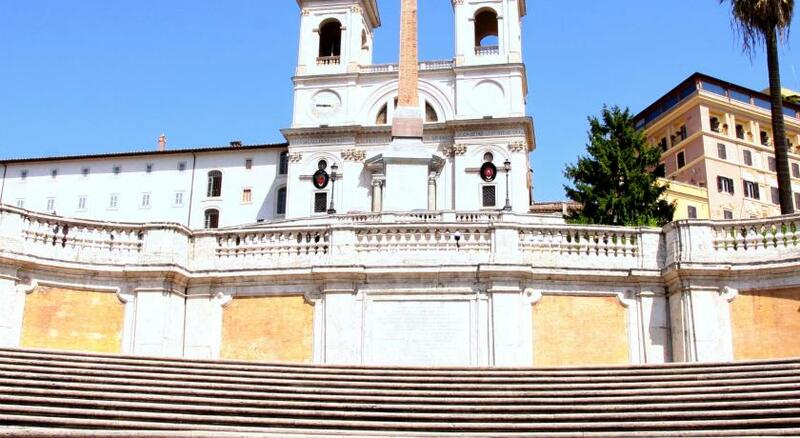 Some rooms have views of the interior courtyard, while some have panoramic views of Villa Borghese. This twin/double room has cable TV, air conditioning and minibar. 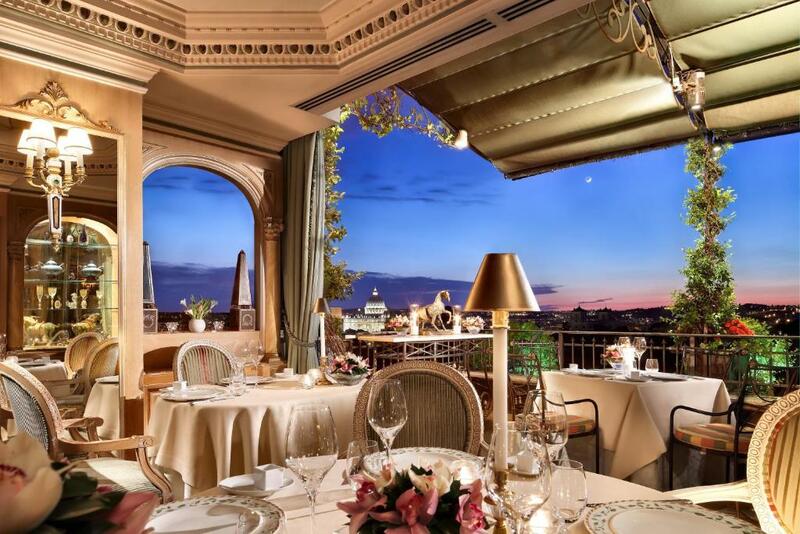 The Hotel Splendide Royal in Rome is a luxury five star hotel, designed to be royal, luxurious and the same stature of the most accredited hotels in Europe. 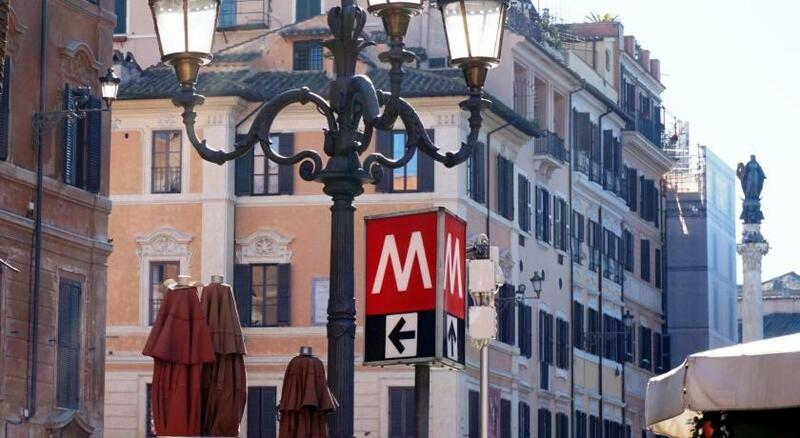 Hotel surroundings – This neighborhood is a great choice for travelers interested in food, city walks and sightseeing – Check location Excellent location – show map Guests loved walking around the neighborhood! 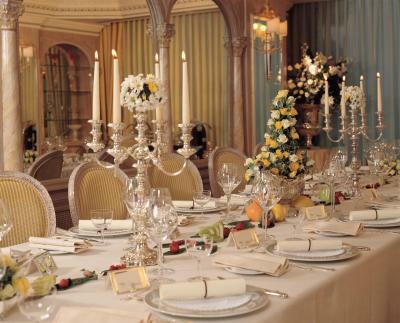 House Rules Hotel Splendide Royal - Small Luxury Hotels of the World takes special requests – add in the next step! Hotel Splendide Royal - Small Luxury Hotels of the World accepts these cards and reserves the right to temporarily hold an amount prior to arrival. Staff very helpful and welcoming. Breakfast and location were fantastic. Breakfast was poor in comparison to the Sofitel. Also need to keep buffet replenished. The breakfast was the same every day, I shouldn’t have dairy or gluten but they wouldn’t do poached eggs unless I paid extra. I’ve had much better breakfasts at other 5 star hotels in lake Garda. The staff were extremely helpful and friendly, especially in the breakfast room. The room was very nice and they upgraded us, however there was still some noise on 2 of the days due to refurbishments taking place. I could have nothing negative to say! What an outstanding hotel and location. I cannot overstate the luxury, comfort and beauty of the property, much less warmth and helpfulness of the staff. 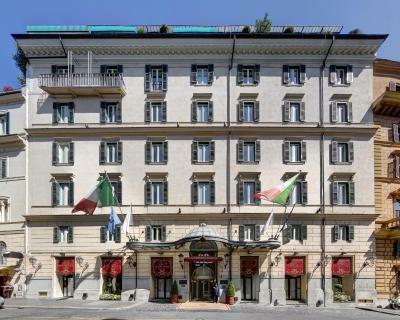 Without question this has become my go to hotel for Rome! The bar was more like a restaurant and wasn’t a place to stop by for a drink . Staff were attentive to requests , spoke good English and the hotel itself and my room was beautiful with a great view.